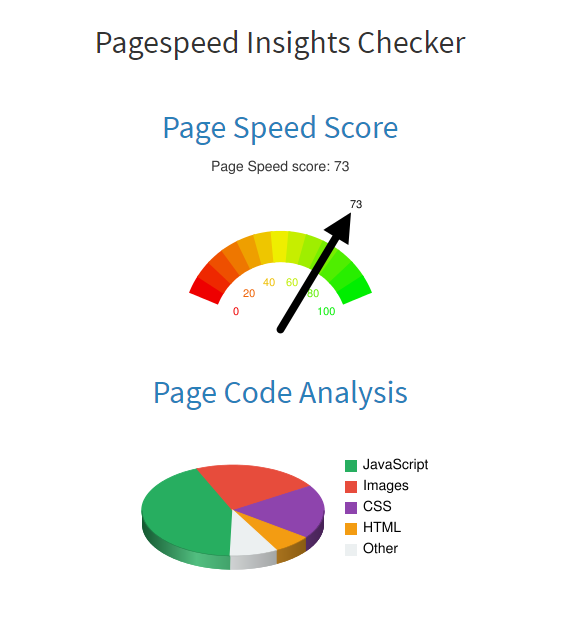 The Pagespeed Insights Checker 2019 tool is an online free advanced tool developed by Freeseosoltions. The speed of the website is one of the most important ranking factors for Google, and each website owner must focus on improving the speed of the website. According to the survey, more than 47% of respondents want to load the web page in less than 2 seconds. If the web page loads for more than 3 seconds, 40% of the web page will be left! It is important for webmaster to reduce the loading time of the website. You can easily determine the speed of your website by entering the URL of the website in the box, our tool will display a full page speed report for your website. Your website will receive 100 points. If your site takes a long time to load, our tools will provide valuable suggestions to reduce loading time. Why to use our Pagespeed Insights Checker Tool? Our team of experts created a page speed insight checker tool to help all site owners to ensure that their visitors get a better browsing experience on their pages. The loading time of the site is very important because most people do not request a slow loading of the page or the website. If your bounce rate is high, use the website's speed test tool. Tells you which pages need improvement to facilitate navigation. This is the only way that visitors can spend more time on your site, which also helps you generate income when you sell goods or provide services. Many website owners discovered that they lost a lot of money because their potential customers did not stay on the site due to their low website performance and load time. The obvious factor is that they did not pass the page speed test and never paid attention to the loading time of this website. Use the correct image size: when you add a photo to a web page, it must be the correct size, since a large image will slow down the site. Use compression tools: many Internet compression programs that can be used to compress large files. It helps you save bytes and improve information on how easy it is to move the page. Use Leverage Browser Caching Browser: helps you create a cache for a lot of information. When the user returns to that particular page, the browser should not reload the entire page.